Heat oven to 400°F. Unroll dough on work surface. Roll out dough with rolling pin into round about 10 inches in diameter. 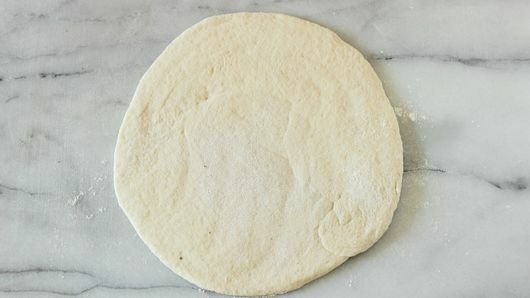 Place dough on ungreased cookie sheet or pizza stone. Bake 10 minutes. Cool completely, 10 to 15 minutes. 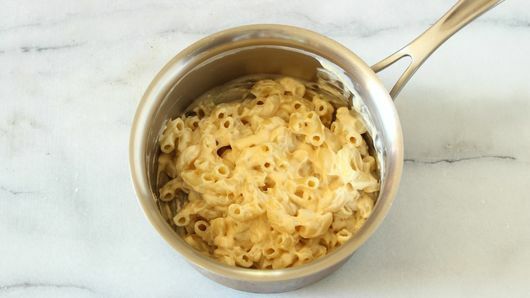 While crust is baking and cooling, cook macaroni in boiling water as directed on box. Drain; set aside. In 1-quart saucepan, melt butter over medium heat. Stir in flour with whisk until well combined. Cook 3 to 4 minutes, stirring constantly. 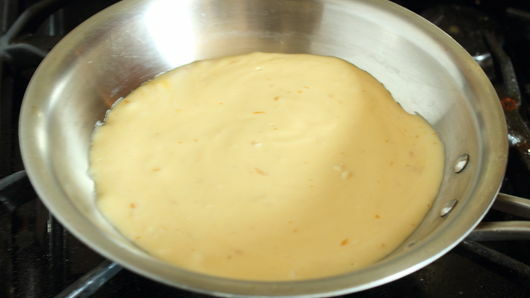 Gradually add milk, beating constantly with whisk until no lumps remain. Once all of the milk has been added, cook 2 minutes longer over low heat. Add 1 cup of the cheese; beat until sauce is very smooth. Add drained, cooked macaroni to cheese sauce; stir with wooden spoon until all macaroni is coated. 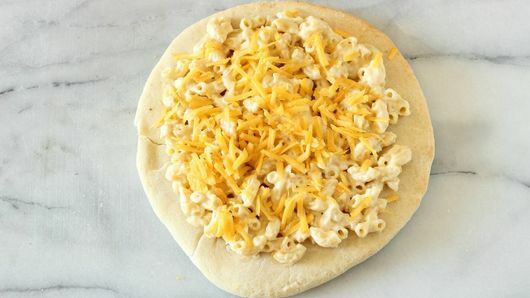 Spread macaroni in cheese sauce over baked crust to within about 1 inch from edge. Sprinkle remaining 1/4 cup cheese over top of macaroni. Bake about 10 minutes or until pizza is golden brown and crisp around edge. 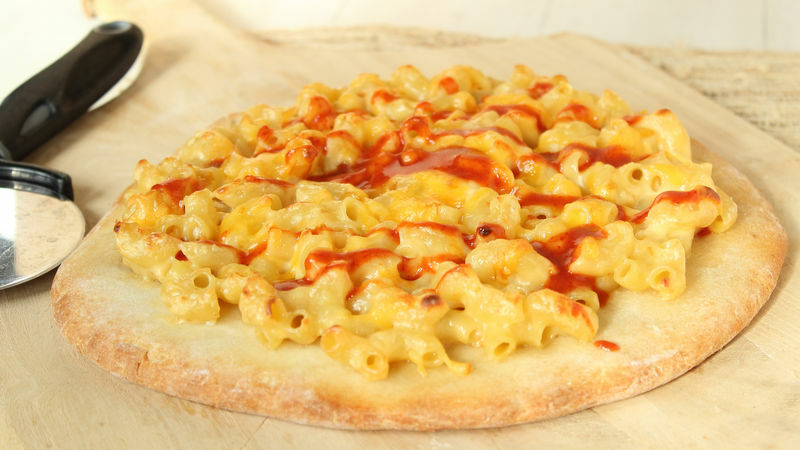 Drizzle Sriracha sauce over top; serve immediately. Open your pizza dough 15 minutes early and it’ll be much easier to roll out. Always use plenty of dusting flour when working with fresh dough. Cook your pasta ahead of time and keep it in the fridge until you’re ready to add it to the cheese sauce.